How much will it cost to convert my crawlspace? The cost to complete a crawlspace conversion varies with project size and specifications. Crawlspaces 2 Basements is dedicated to providing accurate and reliable estimates for every project. It is difficult to provide cost figures without first seeing your house and the existing crawlspace. Crawlspace conversion is an excellent choice for adding valuable living space. The first step is to call us at 303.598.9988 to discuss your potential project and schedule an appointment for a complete a walk-around of the property. How does the cost compare to an addition or pop-top? Crawlspace conversion is the most convenient and affordable way to add new living space in your home. Compared to additions and pop-tops, crawlspace conversion is less expensive and provides a superior return on your investment. Adding new living space with a crawlspace conversion saves money in several important ways. Unlike an addition or pop-top, there is no cost for new roofing, siding or exterior painting when the project is finished. Plus, there is no need to move out and rent another property during construction. Crawlspace conversion creates minimal disturbance in your home, so you can live comfortably throughout the process. In total, crawlspace conversion is the best way to add new living space to your home. Through our extensive experience, Crawlspaces 2 Basements has learned how to create a new basement quickly and efficiently, so you receive the best return on your investment. What will be my return on this investment? For more than 10 years, Crawlspaces 2 Basements has helped homeowners add new living space in their homes. Crawlspace conversion is the easiest and most affordable way to add living space and increase the value of your home. In these difficult economic times, crawlspace conversion is a great way to invest in your home and provide enjoyment for your family. From past projects, our experience suggests that crawlspace conversion can return from 75% up to 200% of your initial investment. That return will vary based on the design and level of finish in your new basement. Do you want bedrooms, a home theater or simply storage space? Basic or luxury finishes? Creating a new basement is a significant investment. 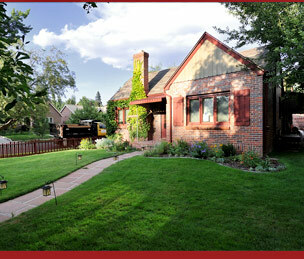 Crawlspaces 2 Basements has completed dozens of crawlspace conversions throughout the Denver Metro area. We bring the knowledge and experience to get the job done right and maximize your investment. Can I get financing for the project? Crawlspace conversion is a great way to add value to your home. As you’d expect, many homeowners prefer to finance this type of project. However, in this economic climate, it can be difficult to secure a loan. This can be incredibly frustrating to homeowners. Crawlspaces 2 Basements is dedicated to helping our customers achieve their dreams and increase the value of their homes. Crawlspaces 2 Basements can help you find affordable financing options through our strong relationships with banks and investors throughout Colorado.